Nike's tradition for producing cutting-edge, professional-caliber golf equipment continues with the new VR Pro Limited Edition Forged Driver. This driver is already a favorite of top Nike Golf athletes Anthony Kim and Paul Casey and is now available to you. The Nike VR Pro Limited Edition Forged Driver is a 430cc driver that features the latest breakthrough in Nike Golf engineering, NexCOR Infinity technology. NexCOR uses a multi-face thickness design and a bridge to deliver amazingly fast ball speeds and farther distances. 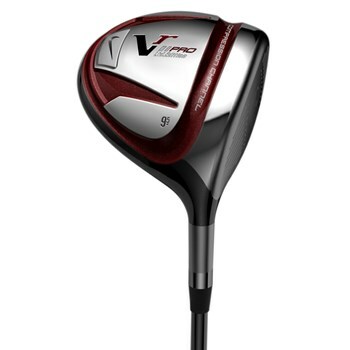 Its performance is boosted by the VR Pro's quality four piece forged construction. NexCOR is not the only high performance technology used in the Nike VR Pro Limited Edition Forged Driver. Nike's advanced Compression Channel technology extends to the entire length of the sole for maximum speed upon impact at more zones on the ultra-thin clubface. The Nike VR Pro Limited Edition Forged Driver's innovative MRC Diamana 'Ahina shaft uses Mitsubishi Rayon's exclusive Multi-Dimensional Interlay Technology (MDI) for a stiffer tip and mid-section than previous VR Pro drivers. The Nike VR Pro Limited Edition Forged Driver's revolutionary technology is presented in a pear-shaped clubhead for those who prefer a more classic aesthetic. Its supercharged design is balanced with a great feel and playability. The Nike VR Pro Limited Edition Forged Driver has the style and performance that any golfer, professional or amateur, will appreciate.